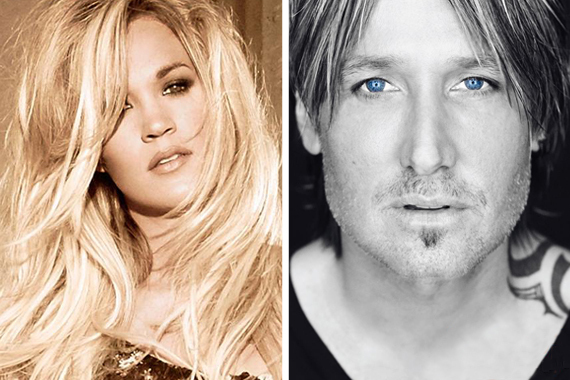 Keith Urban and Carrie Underwood are among the first round of performers announced for the upcoming Grammy Awards in February. Other performers revealed include Metallica, The Weeknd, and John Legend. No word if Urban and Underwood will perform separately or together during the ceremony, as they appear together for “The Fighter” on Urban’s Ripcord project. Urban is nominated for Best Country Album for Ripcord, as well as for Best Country Solo Performance, for “Blue Ain’t Your Color.” The track also netted a Best Country Song nomination for songwriters Clint Lagerberg, Hillary Lindsey and Steven Lee Olsen. The 2017 Grammy awards will be held Feb. 12 at the Los Angeles Staples Center. The ceremony airs live at 8 p.m. on CBS.